Sue Christensen is a long-time fairgoer, who has been showing and selling her work at the Minnesota State Fair for many years. You may have seen her working at the J. Saliture Pottery booth back when Heritage Square still stood—or on the Midway, at the Frontier Bar, or just walking around people-watching. 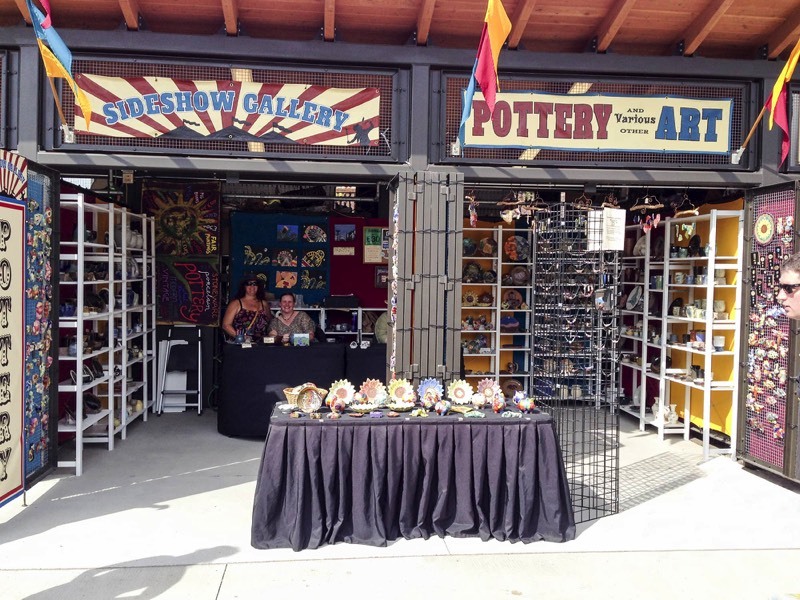 The Sideshow Gallery booth is located at the Southwestern corner of the West End Market. 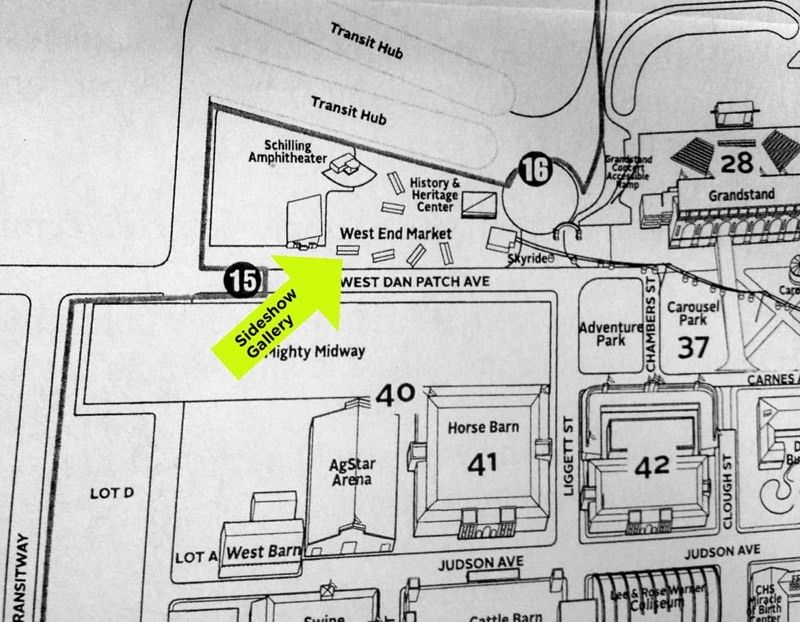 Have a look at the map, shown at right. 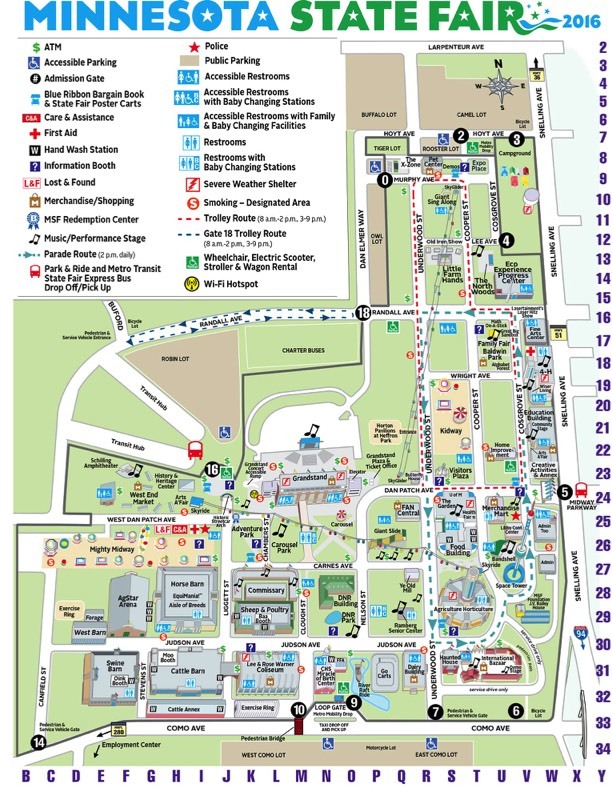 Here's a map showing where we are in the West End Market at the Minnesota State Fair.